While in Budapest during our meetup, I almost cracked my head open, and nobody would’ve been there to help. After an excellent day one at Write The Docs EU, I took a shower in preparation to pass out. Drying myself afterwords, as I lifted one foot, I lost balance in the other and fell backwards out of the tub. I attempted to catch myself, but I couldn’t hold onto anything. Here’s a scary thought: The sink was about one foot away from my head. My roommate recently returned to our apartment, so at least he would’ve found me. I think. 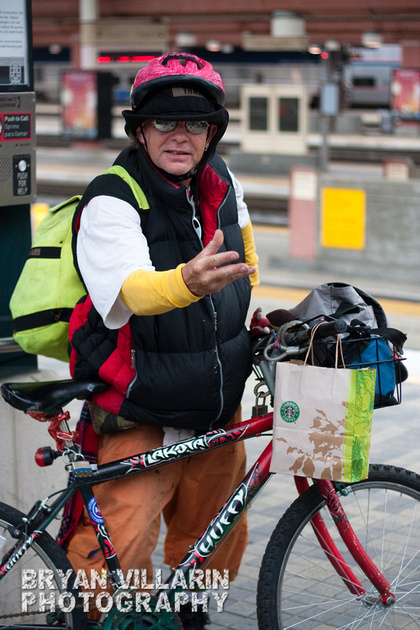 While waiting for the Metro Gold Line at Union Station, Dave saw my camera in hand and approached me, asking if I wanted to take his photo. Since I can describe the conversation like a moth in flight, bullet points might make more sense. He explained that he wasn’t mentally right. He was talkative and easy going. “I know the new Incredible Hulk movie. He has a special power,” which he then demonstrated as if he were generating a fireball or something. He talked about his brother who fought in Vietnam, but wasn’t receiving benefits. Somehow, that was a segue into him not getting SSI. 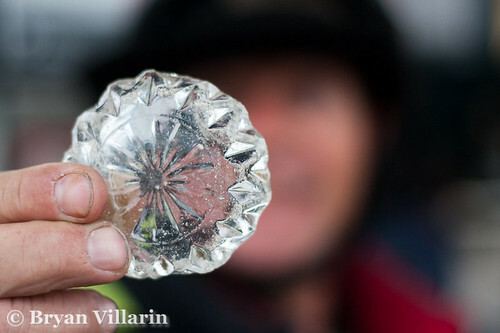 Lastly, he holds up a circular opaque object. Apparently, it’s a valuable ashtray. I tell him he should try to sell it, but he’d never part with such a priceless object. When the train finally arrived, I wished him well…and sat half a car away[1. I just wanted to veg. Nothing against Dave!]. I’m pretty sure he struck up a random conversation with someone else. If you ever meet Dave around LA, talk to him for a bit. (Or, listen to him talk.) It won’t hurt! While on the way to work using the Metro Gold Line, a several young girls and their teachers boarded the train. It must’ve been a field trip. The only open seats were around one man, all alone. He looked miserable. I waited until he had a solemn face, then snapped a photo. The man sitting next to me chuckled at the girls and their conversations. He laughed after I took the photo. “He looks so miserable, I couldn’t help myself,” I whispered, snickering quietly. We talked between Lincoln/Cypress station and Union Station. He asked me if photography was my career (not yet). His roommate, Travis Tanner, is a photographer. “I’m from here.” I knew he meant my ethnicity. Edgar was between jobs. He’s been working in television production for the past ten years, but was let go. They were all with Spanish language television channels — I forget which ones specifically. He said he was going to apply for jobs with other networks, like CBS and NBC. 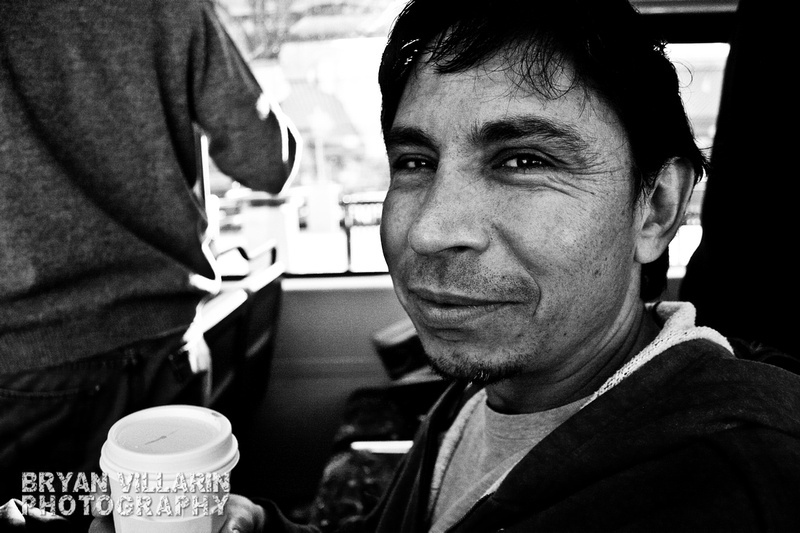 Before the train stopped at Union Station, I asked him if I could take his portrait. Since we were inches away, I used my 18-55mm lens. Good luck finding your next job, Edgar.